WorldofVolley :: CL M: No troubles for Perugia to claim the semifinal spot - Leon to meet Ngapeth! 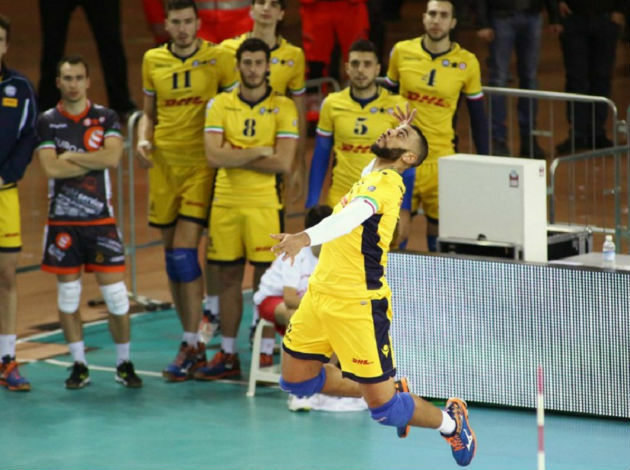 CL M: No troubles for Perugia to claim the semifinal spot - Leon to meet Ngapeth! Perugia are the third team that claimed the semifinal ticket, after Zenit Kazan and PGE Skra Belchatow. Perugia didn't have any difficulties against the team from France. Simply, Perugia are much better team right now compared to Chaumont. After a 3-2 win in France, Perugia ended this game in straight sets 25-21, 25-16, 25-17. Wilfredo Leon (16 points) and Aleksandar Atanasijevic (15 points) were the best scorers in Perugia, while Julien Winkelmuller had 16 in Chaumont.